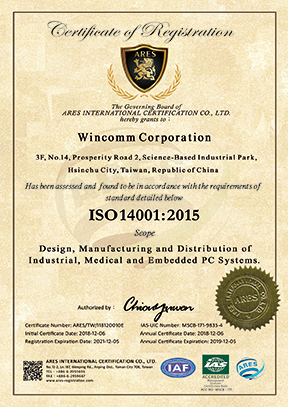 Hsinchu, TW, Dec 12, Wincomm, a leading manufacturer of medical grade, industrial grade and rugged embedded computer products, has been granted ISO 14001:2015 following successful completion of an audit of its environmental management system in December, 2018. Pursuit to Innovation with R&D, we are committed to provide product and service which fulfill to manage our environmental responsibilities in a systematic manner that contributes to the environmental pillar of sustainability. From now on, we commit to continuously promote environmental management and environmental protection, complying with worldwide environmental laws and regulations, and contribute to the social responsibility of protecting the global environment. 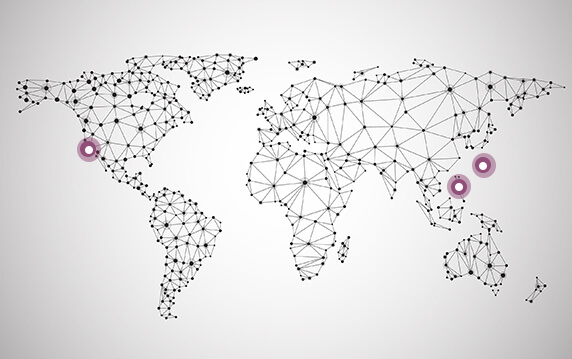 The International Organization for Standardization (ISO) is the world’s largest developer and publisher of international standards for the implementation of quality and environmental management systems. The ISO 14001 Environmental Management Standard that specifies the requirements for a structured management approach to environmental protection is to enable an organization of any type or size to develop and implement a policy that is committed to environmental responsibility; such as resource sustainability, prevention of pollution, climate change mitigation and minimization of environmental impact. I. Concentrate R&D Innovation. Maintain Resource Sustainability. II. Conform Environmental Regulations. Dedicate Pollution Prevention. III. Continue Environmental Improvement. Ensure Sustainable Business. IV. Implement Green Management. Fulfill Social Responsibility. Achieving ISO 13485:2016, ISO 9001:2015, and ISO 14001:2015 certifications with PVC free for most medical grade products, it is the result of continuous efforts and indicates that Wincomm has been committed to continuous quality improvement and sustainable environmental protection. It also demonstrates that our quality and environment system ensures the in vitro diagnostics we develop and distribute, including our full range of panel PC, display and box PC, which predicts the response to be manufactured in compliance with the highest standards for safety, product performance and reliability. Wincomm is one of Taiwan’s leading manufacturer of industrial computer and embedded computer products. Wincomm designs and develops all in one panel PC, large size all in one digital signage system, rugged box PC and embedded software products for a broad range of industries and applications. Wincomm aims to provide hardware and software integrated solutions for the most variant environments such as industrial automation/ human machine interface control, digital signage / infotainment Kiosk, and medical computing.